Graveside services for David Lloyd Scott, 80 of Corinth are set for 3:00 p.m. Sunday at McKendree Chapel Cemetery in Keyesport, IL. Visitation will be held Saturday 4:00 until 6:00 pm at Gaines Chapel United Methodist Church in Corinth, Ms.
Mr. Scott died Tuesday, November 13, 2018 at Magnolia Regional Health Center. He lived in Sesser, IL for 16 years before moving to Whittington, IL where he lived for 43 years before moving to Corinth, MS in 2017. He was a member of Sesser United Methodist Church for 56 years before transferring to Gaines Chapel United Methodist Church in Corinth. 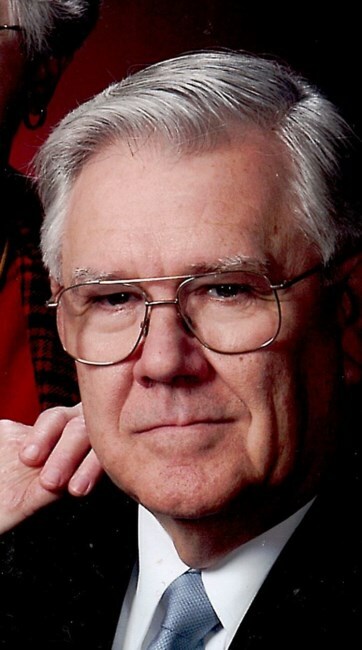 He was a retired teacher having taught at Sesser High School for 9 years and Rend Lake College for 25 years, where he was department chair for 9 years. He received numerous awards for his teaching and mentoring in the field of agriculture and automotive. While living in Illinois he worked for Country Insurance Company for 19 years as a crop adjuster and the 4H, FFA, and Farm Extension for the University of Illinois. He was preceded in death by his parents; Austin P. and Marie Potts Scott and his brother-in-law, Burnell Neumann. Mr. Scott is survived by his wife of 58 years, Marilyn Scott of Corinth; daughter, Lori Snyder of Corinth; sons, Bryon Scott of Matthews, NC; James Scott (Jennifer) of Edina, MN; brother, Richard Scott (Ruth Ann) of W. Chicago, IL, sister, Jane Neumann of Greenville, IL and grandchildren, Henry Scott, Austin Scott, Preston Snyder, Alexa Snyder, Lacie Snyder and Dylan Snyder. In lieu of flowers, Memorials may be made to Rend Lake College Foundation Scholarship Fund.